NIA CHARLESTOWN NEVIS (September 25, 2015) — Premier of Nevis and Minister of Finance Hon. Vance Amory says the development of the island’s geothermal resource is still very current and progressing steadily. He said the recent memorandum of understanding between St. Kitts and a French Company to explore energy in St. Kitts did not mean that the move would be detrimental to Nevis as the island is two years ahead in terms of exploration. However, Mr. Amory stated that the explorations in St. Kitts would instead be a complementary development and both would be able to provide a larger resource to a larger demand marketplace. The Finance Minister noted that the issue of geothermal was not an easy sector to develop. He indicated that the developers the Nevis Island Administration has contracted have been cautious, like all investors, to minimise their risks in the project, while the administration seeks to minimise its exposure in an effort to maximise the benefits for the people of Nevis and the people of the Federation. 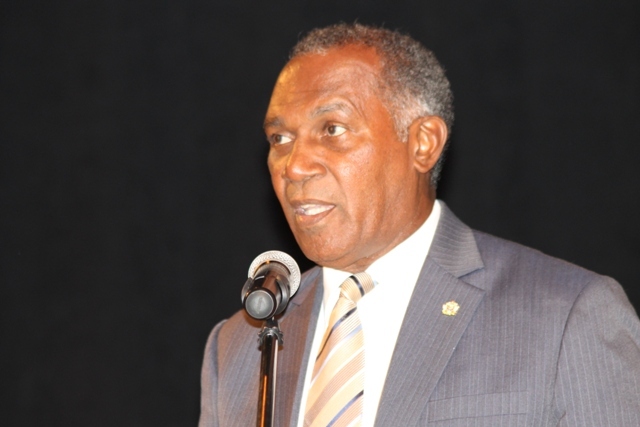 Regarding the Power Purchase Agreement (PPA) which is being negotiated, Mr. Amory said the Caribbean Development Bank had provided some technical assistance and expertise so that the administration is not railroaded in respect of the form which the PPA takes and the benefits for the people of Nevis are maximised while the developers get a reasonable return on their investment. Meantime, the Finance Minister said the administration is seeking to develop a new cadre of skilled professionals to deal with the energy revolution. According to Mr. Amory, he received a recent offer of training for persons who would be involved in the maintenance in the renewable energy sector from the New Zealand High Commissioner. He said they discussed extensively the matter of renewable energy as part of the island’s development thrust at a recent meeting. The Premier indicated that New Zealand has been utilising renewable energy from its geothermal resources for the past 60 years and have developed a high level of expertise in that area. He noted that the next step would involve careful selection of the persons who would benefit from the training. Mr. Amory said in the past persons selected for training in various areas moved to other areas as the job market dictated. “We have now to be very selective in whom we send because we would want to ensure that we have the resource, we have the skills to deal with this here in Nevis.” he said.